You can maximize the highs and minimize the lows as you learn by getting good instruction. One place to get such instruction is from a well-written book. 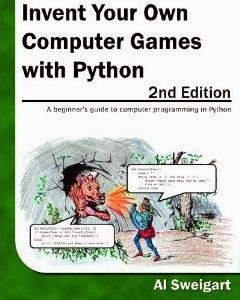 The free e-book, Invent Your Own Computer Games with Python, by Al Sweigart is a great place to begin. For one, it will teach you to code in Python, a free language that's even easier to learn than the BASIC I started with. For another, it takes a unique approach to teach you programming, giving you all the code for very simple, yet functional, games and then taking them apart with you until all becomes perfectly clear. You start with a simple number guessing game, but soon you're into adventure and strategy games and even graphical action games. As the title suggests, with this book you're immediately immersed in the world of invention, rather than lost in the particulars of variables, datatypes and process flow. You'll learn all that technical stuff as you go along, but it's a painless process as the chapters take you quickly into some fairly advanced territory, allowing you, in the end, to build real graphical video games with functional Artificial Intelligence driving them. If you're curious about programming or if you want to just get on the other side of the video games you've been playing, this is the perfect book for you. I've seen similar ones a long time ago but don't remember which language it was.